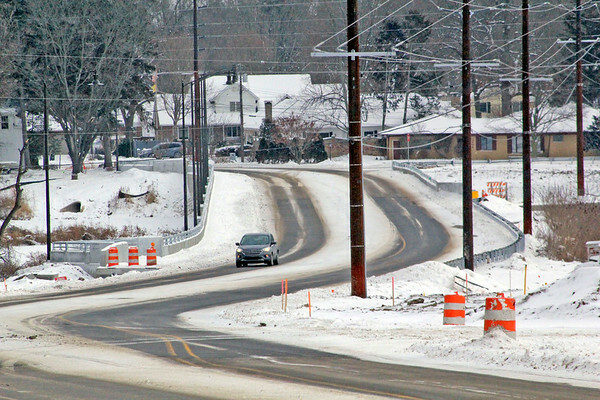 A lone vehicle makes its way westbound over the new Kercher Road Bridge Monday afternoon. The bridge and C.R. 38 from Ind. 15 to C.R. 17 was reopened over the weekend after many months of being closed or restricted to traffic. The rebuilt road and bridge is wider than the previous county road and has turning lanes at intersections. Not all lane striping has been installed and county officials cautioned Friday that drivers should slow down and be careful.